'We Need Strong Federal Leadership' On Climate Change, Baker Testifies In D.C.
Gov. Charlie Baker encouraged Congress to follow Massachusetts’ lead in reducing greenhouse gases and building climate resiliency when he testified before a U.S. House committee Wednesday. The Republican said there is no room for partisanship when it comes to climate change, and he called on the federal government to take meaningful action, such as establishing emissions reduction targets. “We need strong federal leadership and a bold bipartisan vision on climate change that prioritizes practical, market-driven and cost-effective solutions, while affording states the flexibility to design strategies that work for their unique challenges,” the governor said in prepared remarks. Baker joined North Carolina Gov. Roy Cooper, a Democrat, in testifying before the U.S. House’s Natural Resources Committee hearing. The hearing’s theme, “the need to address climate change and its impacts on American communities, natural resources and economic well-being,” represented the first congressional hearing on climate change in at least eight years. Like what you’re reading? You can get the latest news about politics (and other stories Boston is talking about) sent directly to your inbox with the WBUR Today newsletter. Subscribe here. Baker said that collaboration between local communities and all levels of government was key, and he stressed the importance of public-private partnerships and market-based solutions. He also encouraged the federal government to spend more money researching climate resiliency and energy storage, and on disaster preparedness and mitigation. “I think it’s pretty courageous for a Republican governor to testify in front of the new Democratic Congress on the day after the Republican president gave a State of the Union address, knowing that he’s going to be speaking against the policies of many in his party,” said David Cash, dean of UMass Boston’s McCormack Graduate School of Policy and Global Studies. “I also think it was important to have a Republican governor sitting at the same table as a Democratic governor talking about an issue that does not need to be partisan,” Cash said. In terms of substance, Cash thought Baker hit the right notes on clean energy, resiliency and the economic opportunities responding to climate change provides. But missing from the testimony? Any talk of environmental justice. “It’s vulnerable populations, low-income communities, communities of color who are going to be hit more by climate change, and it’s those communities that we must make sure benefit from the clean energy economy,” Cash said. Last month, Baker unveiled a plan to direct $1 billion over the next 10 years toward helping municipalities prepare for a changing climate and to deal with the impacts of climate change. 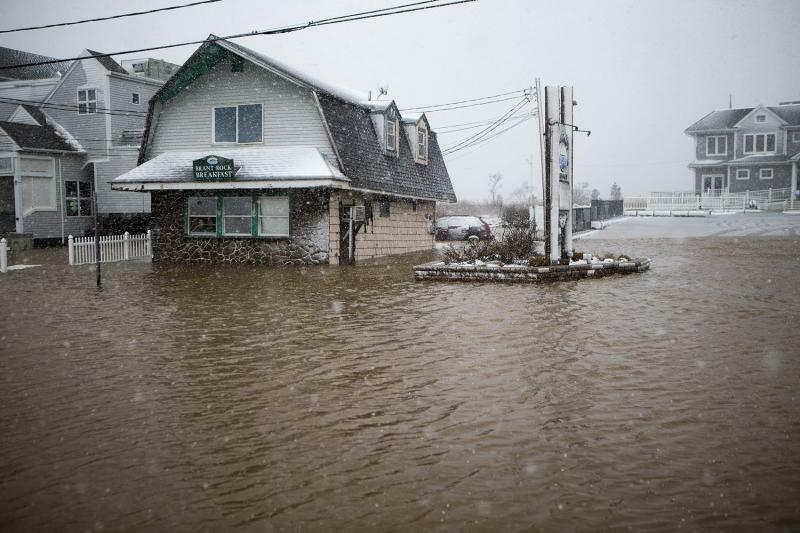 “It’s pretty clear that climate change is starting to have a very significant impact on our communities, on our infrastructure, on personal property, on real property and on community property,” Baker said in January. Baker’s plan, which requires legislative approval, involves raising the excise tax paid on real estate transfers to generate an estimated $137 million a year to fund the climate change program. Though overall the hearing was tame, the one testy moment came when Rep. Tom McClintock, a California Republican, brought up a recent Wall Street Journal editorial about wind turbines in Falmouth. “My father always used to say, ‘There’s doing the right thing and then there’s the doing the thing right,’ ” Baker replied. “I think sometimes when things don’t go the way we planned, we blame the concept and not the way it was implemented.” Baker called that line of reasoning a mistake. Copyright 2019 WBUR. To see more, visit WBUR. Whenever you sell property in Massachusetts, the state makes you pay an excise tax. On a $500,000 home, that comes out to just under $2,300. But now Gov. 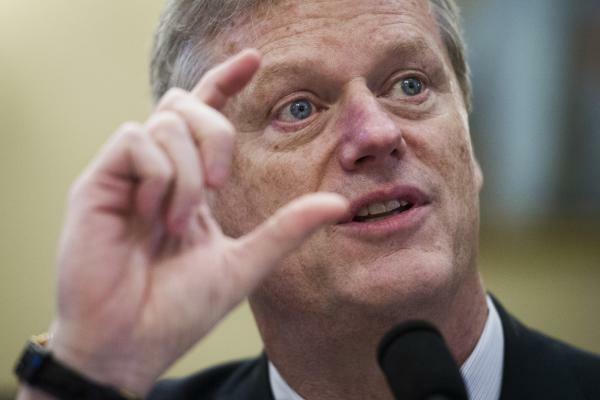 Charlie Baker has proposed increasing that tax to raise another $137 million each year, for the purpose of strengthening the state’s defenses against climate change. 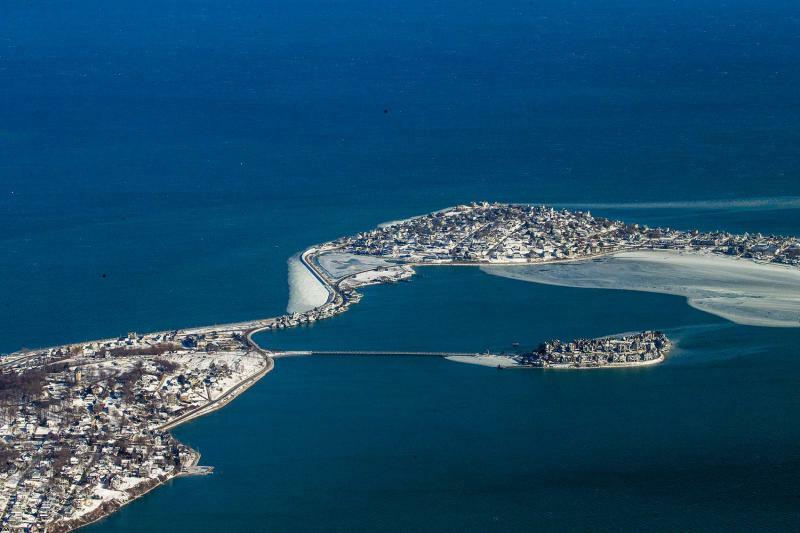 For more than a decade, the impact of sea level rise and tidal flooding has been making waves on the real estate market of coastal New England, costing homeowners more than $400 million in lost value. That’s according to a report from First Street Foundation, a Brooklyn-based nonprofit that studies the impact of sea level rise and flooding. 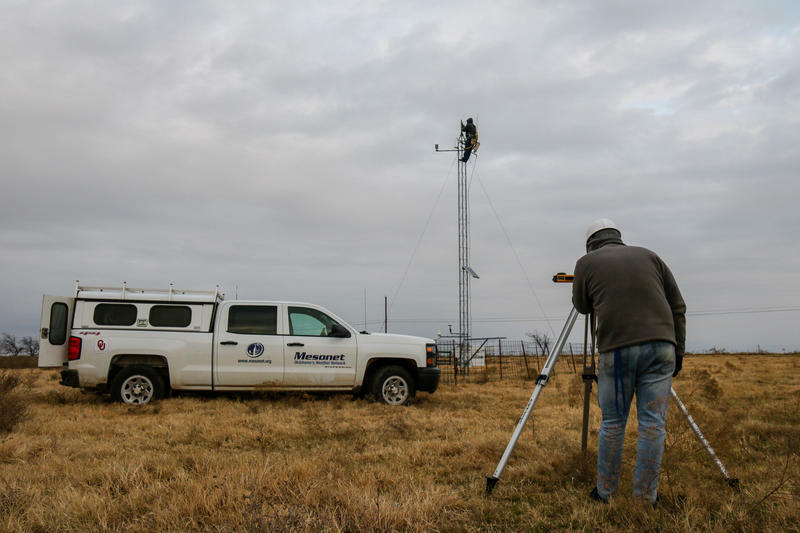 In a cow pasture near Shawnee in central Oklahoma, Kirk Wilson parks his work truck, grabs a harness, and prepares for a 30-foot climb.